This month, Gabriel de la Cruz Soler, proud 2017 HRC Global Innovator and notable LGBTQ advocate in Peru, released the results of a groundbreaking LGBTQ workplace inclusion survey conducted by Presente, an LGBTQ organization he leads. Presente’s survey “Policies, Practices and Challenges for LGBTQ Workplace Inclusion” assesses LGBTQ-inclusive policies and practices in three major Peruvian businesses following the guidelines of HRC’s Equidad CL and Equidad MX: Workplace Equality Programs. In his role as the managing director of Presente, de la Cruz Soler has started a national dialogue about LGBTQ equality in Peru, while establishing Presente as the go-to LGBTQ organization for media outlets, cultural associations and businesses across the country that are seeking to advance LGBTQ inclusion. 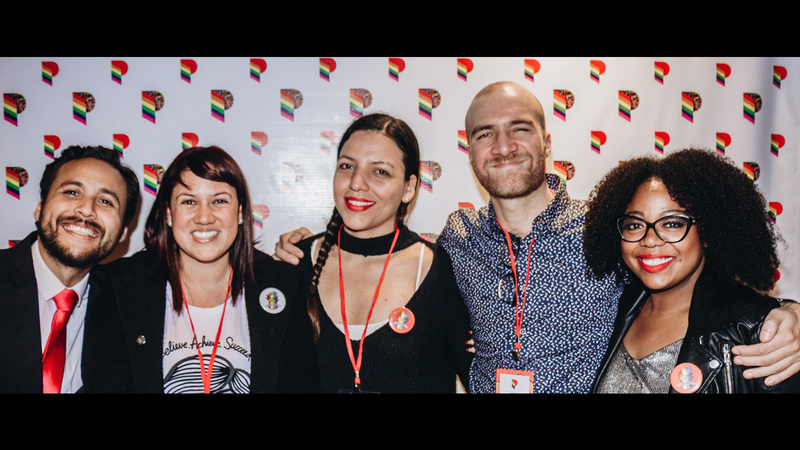 Earlier this year, de la Cruz Soler met with HRC staff in Lima to discuss potential ways to collaborate and deepen the organization’s presence in the region as part of HRC’s recent efforts to promote LGBTQ equality across the Americas. This meeting used the successful model of the HRC Equidad CL program, which promotes LGBTQ inclusion in workplaces across Chile, as a tool to develop the survey in Peru. Following these meetings, Presente launched P.R.I.D.E, a program to provide businesses and organizations in Peru with resources and training to implement LGBTQ-inclusive practices and policies across workplaces. This initiative is the first step toward a possible launch of the HRC Equidad program in Peru. The survey highlights positive actions taken by the three major Peruvian companies to promote and support LGBTQ inclusion in the workplace including: establishing non-discrimination policies for LGBTQ employees as part of their corporate values; engaging public support for diversity through media channels; and hiring and retention of a high percentage of transgender employees. Yet a critical part of the survey reveals that while business managers have the intention of incorporating inclusive practices in their workplaces, they often lack adequate guidance and tools to implement them. The survey results also highlight the lack of healthcare benefits in all three companies, despite their demonstrated willingness to address LGBTQ-specific needs and promote a more inclusive corporate culture. The full results of the survey will be available to download at Presente.pe later this month. For more information on the HRC Workplace Equality Programs, please visit hrc.im/equidadMX and hrc.im/equidadCL. For more information on the HRC Global Innovative Advocacy Summit, visit HRC.im/GlobalSummit.